Apprenticeships may not appeal to everybody, and engineering apprenticeships even less, but Siemens engineer Laura Emms urges more people, especially women, to take up the opportunity. It was recently announced that Siemens is offering more than a dozen apprenticeships at its leading wind power factory in Hull, and urges candidates to apply by the end of this week. Laura Emms has prospered as a woman engineer, and says more females should see engineering and manufacturing as career choices. 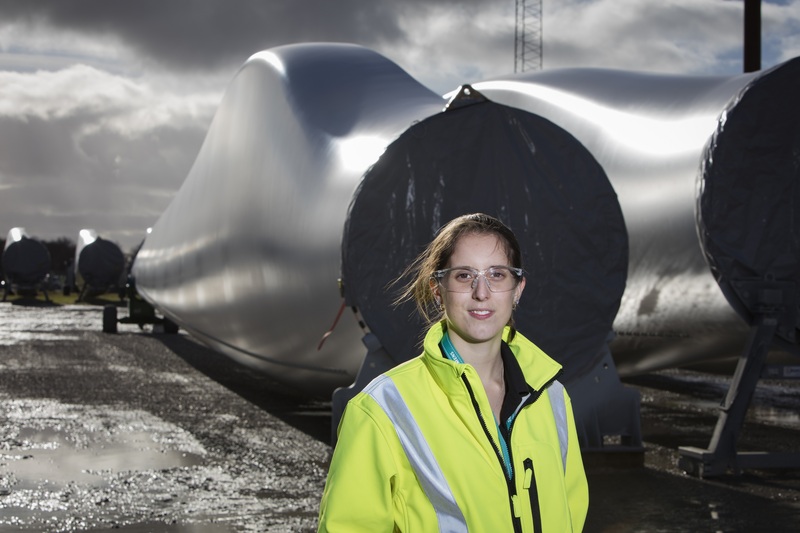 Laura joined Siemens in January to be part of the new Hull workforce and is now undergoing training at the company’s wind turbine blade manufacturing plant in Aalborg, Denmark, where she has found she doesn’t stand out as a woman on the factory floor. 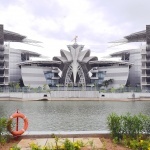 “There are women on every operating team within the factory and all around the office. None of the jobs here are male-only,” said Laura. Laura opted for a career in engineering as she was interested in maths, science and “making things” and was inspired by a three-day ‘Women in Science and Engineering’ course she took while at school. “I like being busy and having variety in my work. Engineering has everything I wanted,” said Laura. Laura completed a master’s degree in Innovative Manufacturing Engineering at Loughborough University, which included a year of engineering work placements with aviation companies. After university Laura joined Jaguar Land Rover as a Graduate Manufacturing Engineer and then became an Assembly Process Manufacturing Engineer. 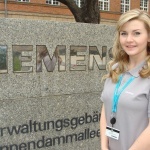 She heard about the chance to join Siemens’ Hull project and applied via the Siemens UK website. An interview at the Hull development site at Alexandra Dock and a job offer as a Trainee Industrial Engineer followed swiftly. Now she is learning all about wind turbine blade manufacturing at the Danish factory. Laura, who is 25, added: “I saw this as a great chance to join a new industry and also to go abroad for an extended period of time and learn about a different culture. That’s an opportunity you don’t often get. “It’s going really well. Every day I learn something completely new. The Danish people are really friendly and always want to help you. “You’re in a foreign country away from family and friends but you don’t feel like you’re alone as there is a lot of support from the company and everyone helps you out.